Leading suspect — climate change — doesn’t fully explain what is happening to leatherback turtles in the US Virgin Islands. Story here. 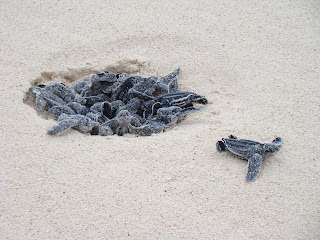 Little leatherbacks leave their nest in Aruba.